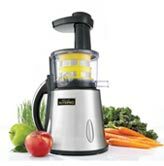 "Anodized cutting blades to maximize juice extraction "
Treat yourself to fresh-tasting juice and give your body the nutrients it needs with the 5-Speed Digital Juice Station. 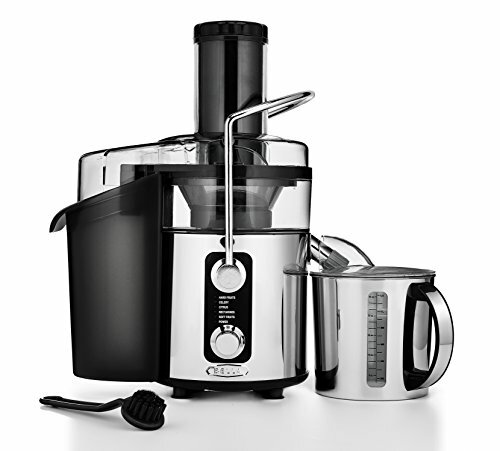 This powerful juicer offers the convenience of five different juicing speeds and has a 1,000-watt motor for maximum juicing with less waste. For efficiency, a smart chip allows the Digital Juice Station to sense the load and adjust the speed accordingly. 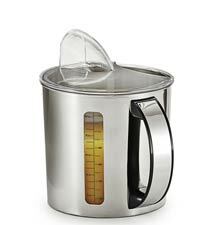 And its sleek, durable stainless steel construction means it instantly dresses up your countertop. A BPA-free pitcher with lid and clear juice glass are included. Five different juicing speeds to extract as much juice as possible from a range of fruits and veggies. The Digital Juice Station has variable speeds to extract as much juice as possible from a range of fruits and veggies. The control panel display lists the most commonly juiced items by category (hard vegetables, apple, pineapple, citrus, and soft fruits), so you can turn the speed dial to the right setting for your fruits and veggies to get maximum juice extraction. The Digital Juice Station uses a stainless steel basket and a durable anodized blade to pulverize fruits and veggies to extract the most juice. 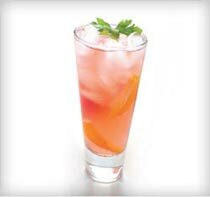 With this design, the pulp stays behind, so you’ll enjoy the nutritional benefits of pure, concentrated juice. 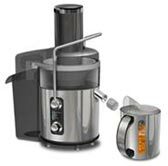 The Digital Juice Station boasts durable stainless steel construction for long-term use and sleek style. 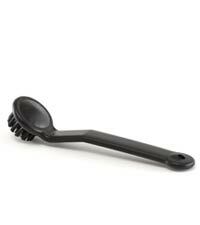 All removable parts are dishwasher safe (top rack only) for easy cleanup. In addition, an anti-drip spout prevents waste and messes. Simply twist the spout to close it and prevent the juicer from dripping. BELLA 5-Speed Digital Juice Station, juice glass, feed tube, food pusher, blade basket, pulp basket with filter, BPA-free pitcher with lid, and user manual with recipes. Add the zest of two lemons to a pitcher of cold spring water and stir well. Alternate feeding ginger, strawberries, and lemon chunks into the hopper.